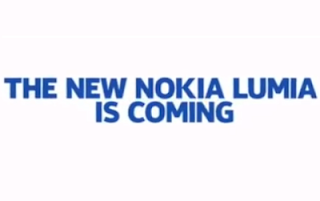 Nokia tease that 'the new Nokia Lumia is coming': Looks as though cameras take centre stage! For those of you who live in the UK you may have been tuning into your TV sets last night and if you had your TV on The Inbetweeners on Channel 4 then it's quite likely that you would have seen the ad below which Nokia have kindly uploaded to YouTube! As you can see Nokia shows us what is either a Xenon or dual-LED flash, and then we're told there'll be "More than your eyes can see"and that "The new Nokia Lumia is coming". If you check out the picture below then you'll see a distinct similarity between what we see in the advert and some leaked images which were rumoured to be a new Nokia phone! We only have to wait until tomorrow to see the event and this thing should be official! It looks like the age of good cameras in smartphones is starting to dawn in a big way!